When Stranger Things first came out on Netflix last year, the Internet went Upside Down. Ha, I do crack me up. The mix was good: Winona, a bunch of uber cool kids, 80's nostalgia, sci fi and one flower mouthed monster. Not to mention that it somehow resembled the imaginary love child of ET & the Goonies. It was gooooooood (said in this voice). This Halloween will be extra spooky as there are now only 7 days left till the new season premiers -October 31st. Who is excited? Stranger Things S02E01 is not the only thing to get excited about though. 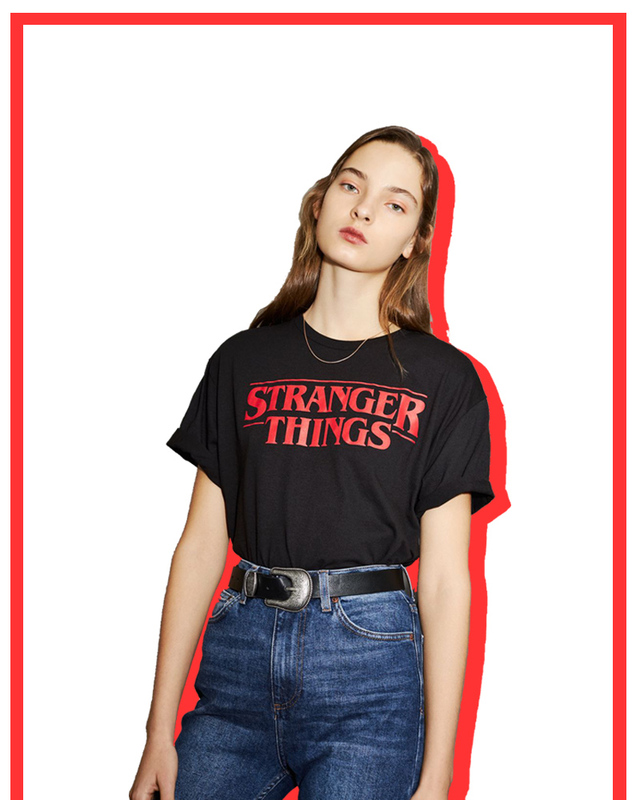 Netflix has teamed up with high street giant Topshop and created a 28 piece capsule clothing & accessories collection to promote the new season, a truly great match. We got entertainment, culture, fashion & tech all in one neat little package. 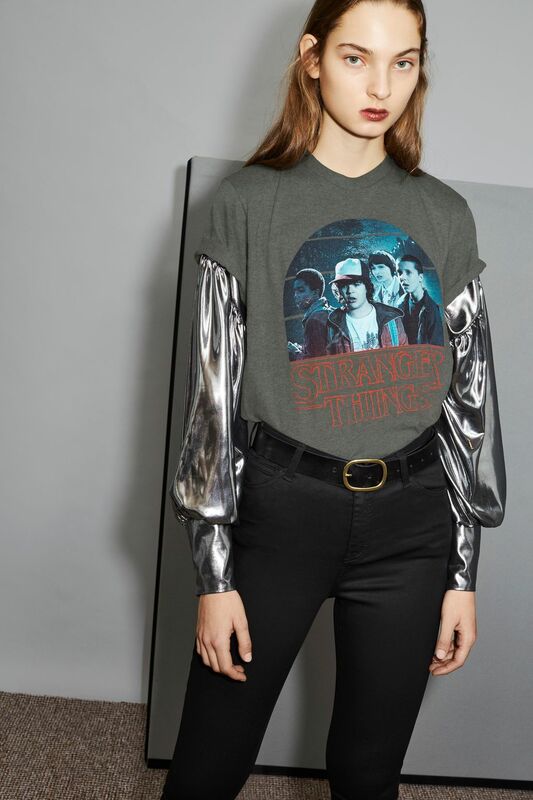 The clothes are your standard fan merch BUT the way Topshop styled the clothes is outta this world. I reaaally really enjoyed the layering aspect of it and the mix of lustrous fabrics with plain cotton T's. Take a peek below, any favorites? BTW Finn's & Millie's covers for Dazed still have me swooning.